Chile remains a leading source for well-made, internationally familiar varietal wines at value prices. ’Twas the season to be spending (holiday gifts, travel, Champagne and caviar for New Year’s Eve, etc. ), but ’tis the season to be saving. And no place better to start saving than with your wine buying. Looking for good value among internationally familiar varietal wines? 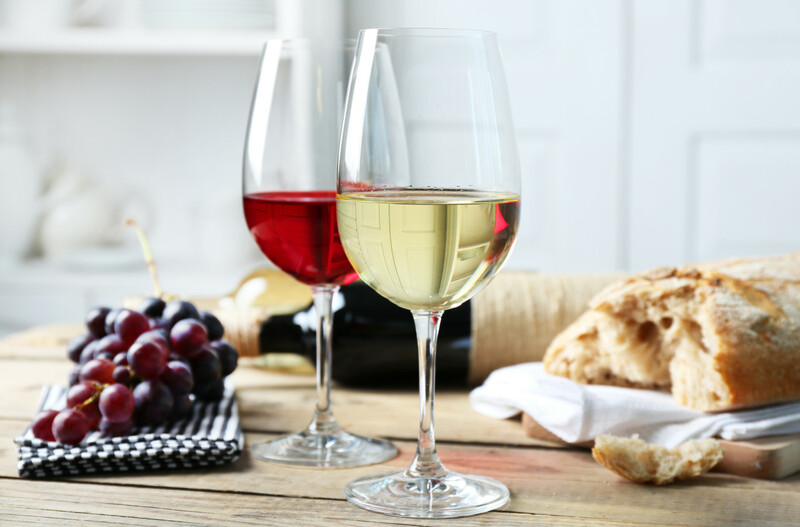 Chile specializes in exactly that: Chardonnay, Sauvignon Blanc, Cabernet Sauvignon, Syrah and even rosés for when the weather warms up—Chile remains a leading source for well-made wines at value prices. Below are 10 favorite Best Buys from my most recent tastings of Chilean wines. 90 De Martino 2008 Legado Reserva Chardonnay (Limarí Valley); $15. A smooth operator, with toasty apple and mineral aromas leading to a ripe but cleansing palate and finish. Elevated Chilean Chardonnay; an eye-opener. Imported by Opici Imports Company. 88 Emiliana 2009 Natura Sauvignon Blanc (Casablanca Valley); $11. A fresh, clean SB. The nose is mildly green and citrusy, with hints of grass, herbs, orange peel and grapefruit. Mineral, lemon, lime and green apple work the flavor profile. Imported by Regal Imports. 88 Santa Alicia 2009 Reserva Rosé (Maipo Valley); $9. Made from Cabernet and Syrah; the pink color is attractive and so is the bouquet of cotton candy, red fruits and vanilla. The palate shows kick and flavors of plum and raspberry. Imported by Halby Marketing. 87 Ku Dé Ta 2009 Sauvignon Blanc (Casablanca Valley); $10. Pungent, with prickly nettle and citrus aromas. Driving and angular, but the flavors of green pepper, tangerine, grapefruit, tarragon and lemongrass are clean and well cut. Imported by Latitude Beverage Company. 87 Falernia 2009 Sauvignon Blanc (Elqui Valley); $11. Textbook Elqui aromas of jalapeño peppers and gooseberry, with minerally green fruit, jalapeño and white-pepper flavors. Imported by Empson (USA) Ltd.
87 Tamaya 2008 Cabernet Sauvignon (Limarí Valley); $10. Concentrated, with sweet berry aromas. Tastes of cassis, with cola and a slight tannic bite. Imported by National Refrescos Import Company. 87 Morandé 2007 Pionero Cabernet Sauvignon (Maipo Valley); $9. Very solid Cabernet for under $10. Balanced, fruity and more fresh than weighty. Imported by Morande USA. 87 Quasar 2006 Gran Reserva Cabernet Sauvignon (Central Valley); $11. Full and inviting, with good acidity and grip. Flavors of black cherry, cassis, an herbal note and black olive. Imported by CW Imports. 87 San Pedro 2007 Castillo de Molina Reserva Shiraz (Maule Valley); $12. Aromas of smoked meat, coconut, dried berry fruit and pepper set up snappy, spicy raspberry and plum flavors. Imported by Shaw Ross International Importers. 86 Yali 2008 Winemaker’s Selection Cabernet Sauvignon-Carmenère (Colchagua Valley); $10. Starts with marshmallow-like sweetness on the nose. Turns more tarry with air, and ultimately offers cassis and black cherry flavors. Imported by Austral Wines.